Junior scientific researcher of organic chemistry (2002-2015), scientific researcher of organic chemistry (2016-current). Born in Konotop on February 06, 1976. In 1993 graduated from a high school and entered Taras Shevchenko National University of Kyiv. In 1999 graduated from organic chemistry department of faculty of chemistry, Taras Shevchenko Kiev National University with master degree. After graduating from the university became a graduate student (dept of organic chemistry). In 2002 went through a contest for a position of junior scientific researcher. In 2005 obtained PhD in organic chemistry. Visiting scientist: Paul Sabatier University (Toulouse, France) in 2009 (program “Dnipro”), 2010 (program “Dnipro”), University of Rouen in 2013 (program “Education, Training of students, PhD students, scientific and pedagogical staff abroad”). Chemistry of heterocyclic compounds, isoindoles, atropoisomeric compounds, cyanine dyes, calixarenes, Diels-Alder and Michael reactions, molecular structure, electronic structure, supramolecular chemistry, asymmetric catalysis, green chemistry. During work on the PhD Dissertation researched [4+2]cycloaddition in azoloisoindoles. New compounds of different classes were identified including intermediates, Diels-Alder, and Michael adducts. A new class of atropoisomeric systems was discovered. A new method of synthesis of substituted cyanine dyes in tetrazololoisoindole row was developed. 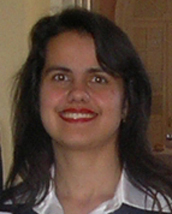 Author of more than 20 publications, including articles in foreign and national journals (e.g., “European Journal of Medicinal Chemistry”, “Tetrahedron”, ”Journal of Molecular Structure”, “Journal of Inclusion Phenomena and Macrocyclic Chemistry”, “Chemistry of heterocyclic compounds”, “Acta Crystallographica”); more than 50 thesis on foreign and national scientific conferences.